After some pretty packed weeks, my pull list only had two books this week. I decided that I would give the second issue of Man-Thing a whirl as I have enjoyed reading other R.L. Stine titles with my son. Enjoy this rare all-Marvel edition of Thursday Morning Superhero. Old Man Logan #20 - This series has really shown off the versatility of Jeff Lemire as a writer. The series opened with familiar dark tones that were a central part of the original Old Man Logan, and then shifted to show us the more caring and fatherly side of Wolverine. With Logan desperate to return home, Lemire has brought in the lighter side of this superhero. This issue featured Wolverine lifting a valuable artifact from Dr. Strange by requesting to use the restroom and a storage unit in New Jersey. All to persuade Asmodeus, a powerful sorcerer, to beam Wolverine back to his own timeline. 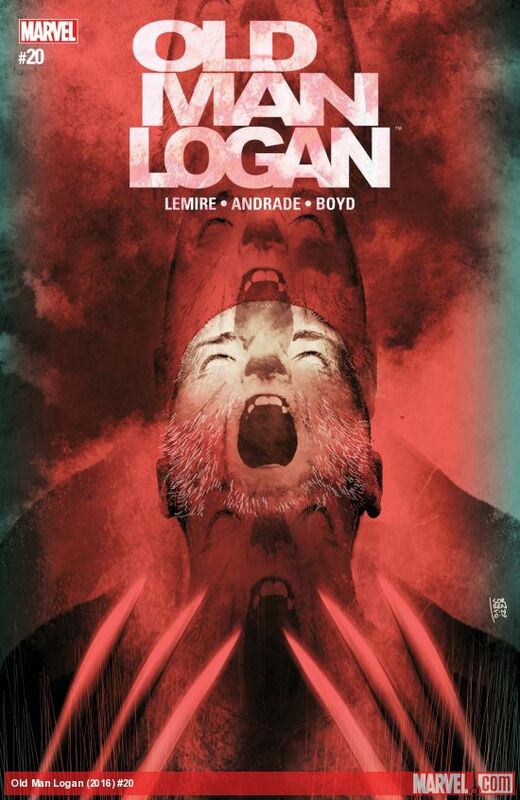 Logan should no better than to strike a deal with someone like Asmodeus and I am super excited about the next arc that this story will take us. I had my doubts about this being an ongoing series, and I was dead wrong. 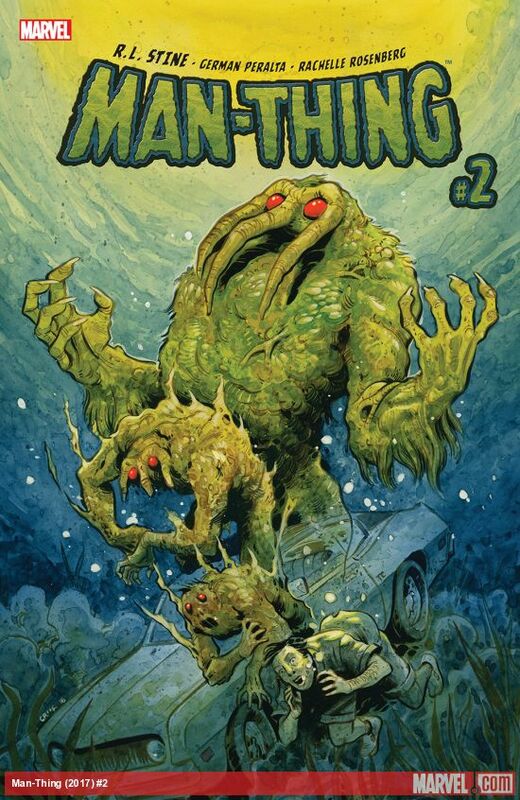 Man-Thing #2 - I am not sure if it is the fact that I don't know enough about Man-Thing or I don't enjoy comics that feel like they were written in the silver age, but it is safe to say that this series isn't for me. It definitely has an old timey feel to it and reminds me of reading old silver age comics. The art is stunning in this series and I enjoyed the short story from Stine's "Chamber of Chills" at the end of the book. If you are looking to read something nostalgic or are a big fan of Man-Thing then this title is likely up your alley, but this is one that will not be on any of my future pull lists.